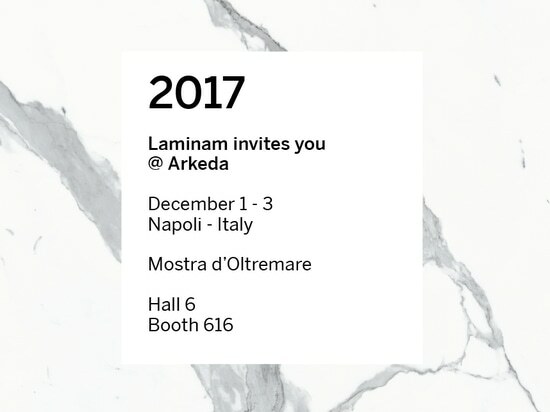 LAMINAM, specialist in the production of large ceramic slabs with minimum thickness, will be flying to Naples from 1st to 3rd December to attend Arkeda, the exhibition-conference dedicated entirely to the world of architecture, construction, design and furnishings. 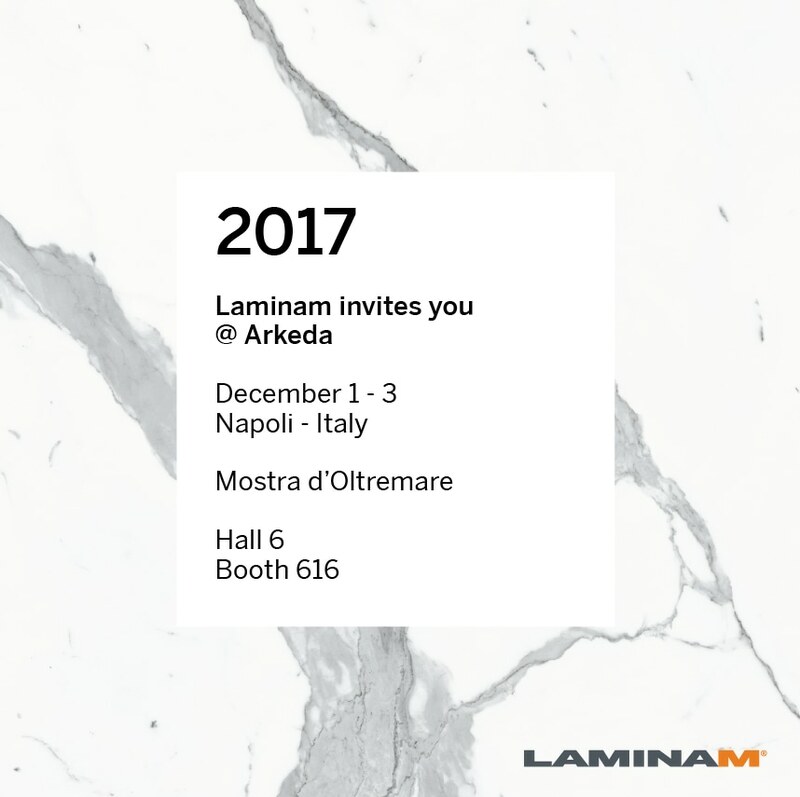 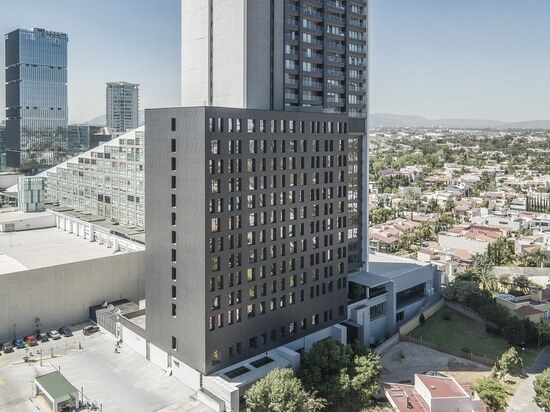 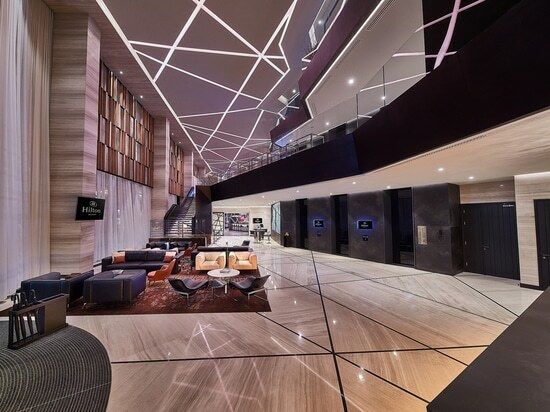 Among the companies that best express the excellence and innovation of Italian industry worldwide, LAMINAM chooses this showcase to introduce the massive potential of its material to an audience of architects, interior designers and specialist companies. 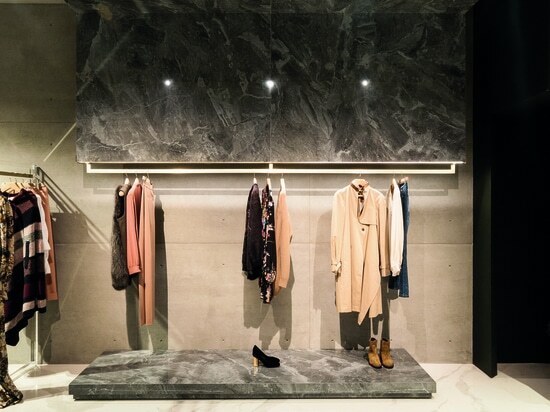 The booth displays the surfaces in dedicated slab sample holders devised to allow each one to be browsed in turn, as well as an illustration of their actual application in flooring, vertical cladding and table tops, in a game of strong colour contrasts. 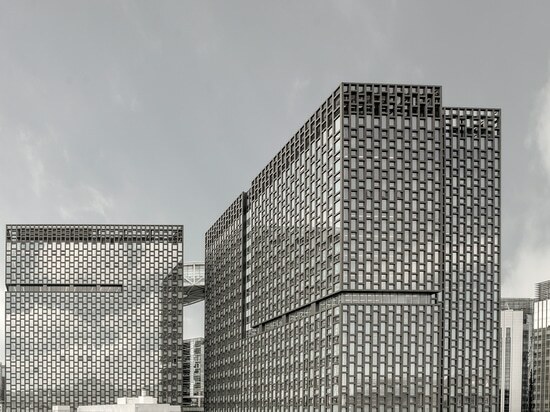 On the one hand, the Calce – Tortora, and on the other the veining that faithfully reproduces the genuine texture and finish of Bianco Statuario Venato Lucidato, a magnifying glass over the natural stone quarry.